Call us today at 503.919.0471 or enter your address below. Our Rental Analysis Report helps landlords and us make data-informed decisions about their rental property, including rate estimates and other information so they can invest and manage their property more wisely. It’s always better to prepare than repair. When asked what we screen for we say "everything" to make sure you get the right tenants in your investment property. Full walkthroughs with pictures & reports sent after PMs search for evidence of lease violations and deferred maintenance you may want addressed. With professional technicians on staff, Sleep Sound makes sure your tenants feel comfortable. All work done by a Sleep Sound Technician is warrantied for one year. Everything you need, right at your fingertips - we provide income and expense statements and instant access to information via the client portal. We make sure you get paid on time, every time and address non-payment issues without you having to chase down renters and have awkward or hostile conversations. Managers reach out to owners and tenants early to discuss things like rent-raises, law changes and plans for the property so that turnovers can be handled efficiently. Setup a convenient time to speak to our New Client Specialist. We’ll call you! Sleep Sound is by and large Portland’s highest rated Management Company on both Google and Yelp. We must be doing something right. We are documentation freaks. When we take on a new property we take 250 pictures per 1000 sqft to document condition and damage. We have our technicians check off a 73-point checklist to document how things function. We record and keep all email and phone communication to get rid of "he-said-she-saids". We make sure we can back it up. The world is changing, and companies need to change with it. Sleep Sound applies all the latest technology to become more efficient, show properties when other cannot, and make life easier for you and your renters. No hidden costs, no hidden fees. You are not our customer, you are our partner. We succeed and fail together. We provide clear and upfront communication with you, no matter the situation. My wife and I rented a home through Sleep Sound Property Management for over a year. 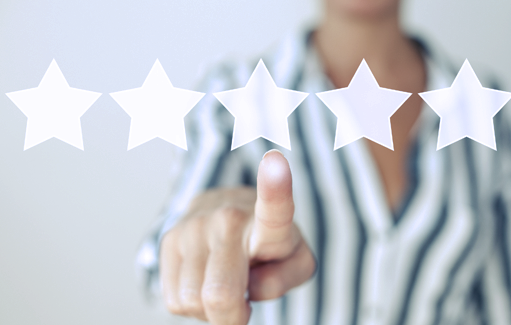 We were consistently pleased with their professional manner and their responsiveness to our requests and concerns. Each person we encountered from the owner through the technicians showed courtesy, respect, competence and a willingness to listen and respond. I highly recommend them. Nicholas Cook and the staff at Sleep Sound are beyond professional and courteous. It is clear that they truly serve the best interests of both property owner and renter. As renters, our questions, concerns, and maintenance requests were always addressed quickly and thoroughly. Now as home owners, we wouldn't hesitate to have Sleep Sound manage our property. Screening is your first line of defense against delinquent tenants, evictions, and damage. In short, it pays to invest up front and wait for the right tenant. Many companies brag about screening speed, but sacrifice quality by using cheap “instant” background checks. You deserve better. How does Sleep Sound screen your tenant? These are the standard background checks, they will pick up federal crimes as well as crimes that occured in Oregon. Sleep Sound will make sure that your tenant is employed when they enter the house. Missed rent payment is a large expense for an owner. You have legal fees associated with a non-payment eviction as well as missed rent from the unexpected vacancy. Lets just avoid this and make sure your tenant has the means to pay. It is said that your rent cost should not exceed 33% you monthly income. When this number is exceed we start to see increased late-payments and missed rent. This is not fun for you, us, and especially not for the tenants. We try to avoid this problem entirely by setting it as a requirement. While all these numbers are great, people tell better stories. We will contact their landlords over the previous 5-years in order to get some level of endorsement or story on the applicants. Who better to let us know about potential problems than those they rented from before? While we do check credit score, credit report is the one that we care more about. We find it tells a more complete story, and forgives things such as large medical bills. If someone has negative inquiries on their credit report how will that affect how much security deposit we collect (see FAQ below for more information). How Does The Competition Screen? While we can screen for just about anything with people, pets can be a bit harder. A rise in service and companion animals as well as pet owners in general means landlords now, more than ever, are needing to be pet friendly. Tenants with pets answer a questionnaire which will provide a Paw Score for the animal. If the animal is a companion animal then we will look at the paperwork and see if we think it is legitimate or not. A service animal is different from a companion animal in that it is trained from birth to be assist with a specific disability, whereas a companion animal is any animal that a medical professional says provides emotional support to a person. If we believe a companion to be fraudulent we will reach out to you to see how you would like to proceed. Q. What if I do not like the tenant that you select? A. Fair Housing (FHA) is a complicated and detailed law, Sleep Sound follows the FHA every step of the way. Portland can be a hard market to navigate legally and we work with lawyers who specialize in tenant law to make sure you are protected. If someone or a group has passed all our screening and is still being denied it would be hard to prove some level of discrimination wasn’t occurring and you could find yourself in legal trouble quickly. Q. How long will the screening process take? A. Generally our screening process takes around 3-5 business days, this allows us to make sure we get all the information that we need. Q. How does credit report affect security deposit? A. We use a scale to determine how much additional security deposit we take from tenants with negative inquiries on their credit report. Q. Do you the screening in-house or use a third party? Q. Do you run multiple applications at once? A. We will let multiple applicants submit applications, we will go with the first group that passes all our screening criteria and then inform the other groups. Our Walk-Through Reports (WTR’s) are your direct window into the property. We don’t simply tell you about the property, we show you. Your report will contain a color photo of every room. We photograph violations and deferred maintenance. We catch repairs when they are $100.00, NOT $1,000.00. Preventative maintenance is good for your car, it’s also good for your property. Avoid costly Resident disputes about charges. Great Records = $$$. Resident: "I didn't create those nail holes." Strategically Times - "Because Once a Year, Isn't Enough"
We complete the first WTR is executed during month 2. Our competitors wait until month 6. We catch and address bad habits early, not half way through the lease. The 2nd WTR is during month 8. You have plenty of time to decide to renew, sell or return to the property. Great management is not a passive activity. Most violations are not intentional. The WTR’s not only help us care for your property, but give us an opportunity to educate residents. 34% of residents move because of maintenance and communication concerns. WTR’s show residents that you and Sleep Sound care. A working home = A Happy Resident. We summarize actionable items for you. Read the report when you have time. Can’t find the email? Missing your copy. No problem! A copy is uploaded to your owner portal. View it any time. Q. Will you walk-through the unit more often? Q. Do you complete WTR’s outside of the schedule above? A. The main drawback to additional walkthroughs would be tenants feeling like their space is invaded. This can lead to more frequent turnover which can be a large cost for you. Q. Can I attend the WTR’s? A. Unfortunately Sleep Sound is unable to have owners accompany our team on walkthroughs. This is for a multitude of reasons from consistency in management to protecting you legally. This easy answer is that you are hiring and trusting us to manage your property and we would ask you to let us do so. Q. What if something is damaged. What then? A. Sleep Sound will assess the cause of the damage and then act appropriately. If we go over to the property and find that someone broke the back window and simply did not report it, or did a poor patchjob, then we will schedule a technician to remedy the issue and then bill the tenant for the materials and labor. Q. How are violations handled? A. You will be notified and then we will provide the tenants with official notification to show that we made an attempt to remedy the situation. From there we will schedule a follow-up walkthrough to make sure that the violation has been fixed. If the violation persists then we will reach out to you and see if it is something you want to pursue legal action over. It is always cheaper to maintain than it is to repair. Maintenance is one the main variable cost of property ownership, and when done wrong it can cost you BIG TIME. So that being said, how does Sleep Sound save money by doing maintenance right? "With Sleep Sound's IN-House Team, You Win Big"
Many companies have to go through loops and communication gaps dealing with third party vendors. Sleep Sound makes it our goal to respond to maintenance requests in two days or less. Consistent Service mean Consistent Tenants. Sleep Sound Technicians are professionals not just in maintenance but also in resident interaction. Sleep Sound will warranty any work done by our technicians for One Year. This allows you to say goodbye to double repairs or half fixes that raise your maintenance costs. Maintenance costs are expensive and rising, in Portland you can find technicians anywhere from $65-$100/hr. Sleep Sound charges our owners a rate lower than other property management companies This means direct savings for you! Because our maintenance team is in-house, if a maintenance tech sees a lease violation on a repair call we can get on it immediately! Absolute Transparency. Check on the status, cost, or description of any work order, any time. Enjoy portal access anywhere with internet. Many of our competitors incentivize maintenance by charging you a percentage maintenance coordination fee. For larger jobs Sleep Sound will not upcharge you at all on maintenance cost. In our decade of experience Sleep Sound has built relationships with some of the most trustworthy and consistent vendors in Portland. Since we do not upcharge on any maintenance,you pay what we pay. Ask about our preferred vendor lists! We set expectations with Vendors before having them work for you. Requiring vendors to take pictures for proof of work makes sure we can hold the accountable. As the costs of a job rises we will provide you with multiple bids to get the work done. You are welcome to go find your own bids but for a small fee we will provide extra bids for ANY job. While we won't call you for every little repair, we make sure to get your approval for all repairs above $500. This makes sure you have a voice in important. So What Does an Average Repair Look Like? Using the most modern management software residents send out a work order request that goes directly from them to a property manager, from there they send this to the maintenance tech putting them in contact with the resident. The resident helps the maintenance tech identify the problem before they got to the property. The Maintenance Tech will help the renter troubleshoot the problem to see if the resident can fix it themselves. If they can then you have just saved money on an entire visit! If the resident cannot fix the issue then the maintenance tech establishes whether this problem was caused by use or abuse. Old garbage disposal at the end up its lifetime? You might be paying for repair. Broken Garbage disposal with a knife or other foreign objects in it? Tenant will have to pay. Q. At what point will you notify me about repairs? A. If the cost of the the repairs is less than $500 dollars but over $250, we will send you an email of what we did and what it cost directly after the repair. If the repair is under $250 we will just do the repair, you can still check the work order through your owner portal which allows you to see exactly how fast we are responding as well as where it is coming from. Q. Do I need to do repairs? A. Yes is the short answer. For starters Oregon has legal habitability standards for homes that cover everything from door locks to waterproofing. Additionally, supply is growing in the Portland market and while it is still strong, tenants are not going to stay in a home that is not maintained. You will be facing higher turnover, careless tenants, lower rent, longer vacancy, and possible legal action just to name a few. Q. At what point do I get additional free bids? A. Once a project exceeds $750 Sleep Sound will provide you with 2 bids. Once a project exceeds $1500 Sleep Sound will provide you with 3 bids. After that you are welcome to provide your own bids or have us gather additional bids at a price of $50/per. Q. 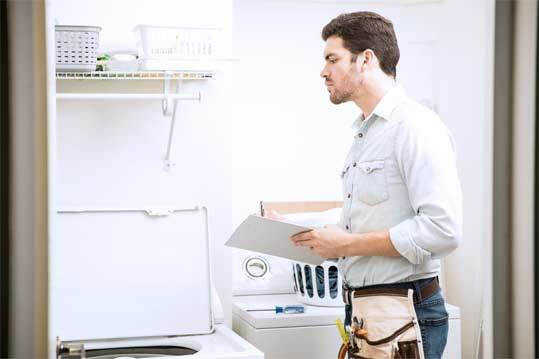 What does Maintenance Coordination mean? A. Maintenance Coordination simply means we will coordinate anything that falls under maintaining the existing home (ie,. Replacing or fixing a broken dishwasher). If you want Sleep Sound to coordinate something like an addition or renovation we would charge an additional fee. For projects that fall under this scope we charge 10% of the total project cost. Ie,. If you want us to coordinate a kitchen remodel that costs $15,000 Sleep Sound would charge $1,500 to do so. Access to Client Portal - You can pull any report, any time, even custom reports. You can find a copy of every invoice and bill paid through your portal. Send money for projects, repairs or increase your repair reserve online. Submit requests directly to your Property Manager online. You can view statements on a cash or accrual basis. What Does My Statement Look Like? We're glad you asked. Watch our quick video guide to reading and understanding your statement. We collect rent on time, deliver it on time, and immediately address non-payment as a serious issue. By providing online portals and a variety of ways for tenants to pay. If rent is not paid on time then your PM will take immediate action to send out a notice. While these notices may not always be acted on they are very important to have as a bargaining chip if we need to follow through with court. Once the payment clears we disburse it into a an account predetermined by you during our onboarding process. You should have access to these funds between the 15th-20th depending on federal holidays and weekends. If we have not received payment by midnight on the 4th then we will send out a late payment notice. You may be asking how you can protect yourself from this. While proper screening is really the only way to prevent a non-payment, anticipating and addressing the situation quickly is a good remedy. Sleep Sound offers and eviction protection plan that protects owners from this cost. For $14/mo we promise that if you face an eviction we will cover all filing fees as well as legal costs for the initial eviction. This can often cost over $1000 dollars and take a little under 1 month. Q. How exactly can tenants pay rent? A. Tenants can pay rent in a multitude of ways. Whether it’s credit card, debit card, check, bank transfer, money order, or cashiers check Sleep Sound makes sure your tenants have a way to pay that works for them online or in person. The only forms of payment we will not accept are cash payments or split payments. Q. Do you always enforce late fees and notices? A. Uniformity in regulation is very important for many reasons, Fair housing and setting expectations are two of the most important. For this reason Sleep Sound will always enforce notices we send out. If we do not then we create a slippery slope where tenants will test what they can get away and what boundaries they can push. This can create spillover in other aspects of management and is overall bad for you, the tenant, and us as managers. Q. How many non-payments does Sleep Sound face? A. Partially due to our thorough screening, Sleep Sound faces an eviction rate of less than 1% each year. This including non-payment evictions and regular evictions. Needless to say it is not common place, nevertheless it is important to be prepared for anything. 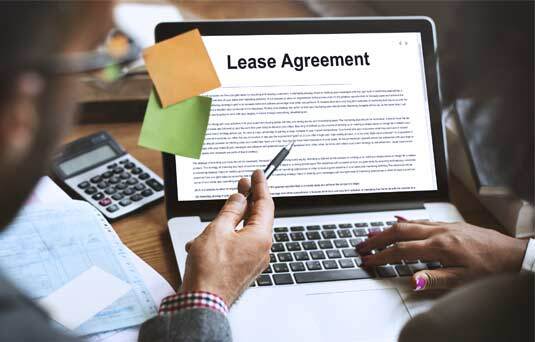 Lease Renewals should be handled early and methodically to make a potential turnover shorter. 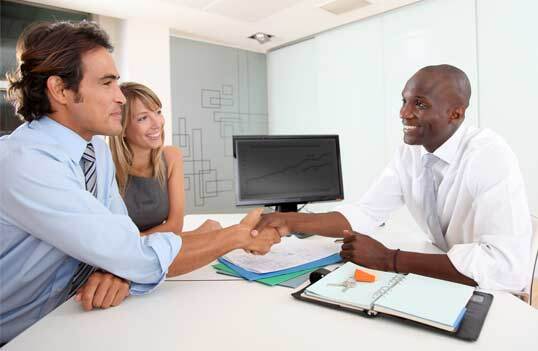 120-days before the end of a lease agreement we reach out to you and to the tenants to understand everyone's goals. If you are thinking of moving back in or selling the home, then we let the tenant know so they can get alternate plans in order. This also allows us to know what your plans are, so we can approach the closing of the account intelligently as opposed to blindly. If the tenant is thinking of moving out, then we can get started on advertising early. If we know this, then we can put ads up before the tenant even moves out. Not only that but we do showings with the tenant in the property as well to further minimize vacancy time. Many companies do not do this, but it can save you thousands by cutting your vacancy time way down. If the tenant wants to stay in the property, then we will reach out to you with rent raise suggestions. You do not have to act on these suggestions but as we have a fiduciary obligation to act in your best interest we will give them to help you maximize value. Once we have decided on a price we will renegotiate the lease with the tenant and get them signed on for another year saving you leasing fees and missed rent during vacancy. Lease renewals come down to communication, something that a lot of managers seem to have a hard time with. Make sure that you are being direct with you tenants, if we are all on the same page then we can minimize unexpected potential costs. Located in the Marine west coast climate region, Portland has a climate marked by both warm, dry summers and wet, cool-to-chilly winter days. This climate is ideal for growing roses. For more than a century, Portland has been known as the "City of Roses", with many rose gardens – most prominently the International Rose Test Garden. The city is also known for its abundant outdoor activities, liberal political values, and beer and coffee enthusiasm. Portland is home to a large number of independent microbreweries, microdistilleries and food carts that contribute to the unofficial slogan "Keep Portland Weird".